Camp for €14,- a night at Camping-Club Les Pins in low season with CampingCard ACSI. 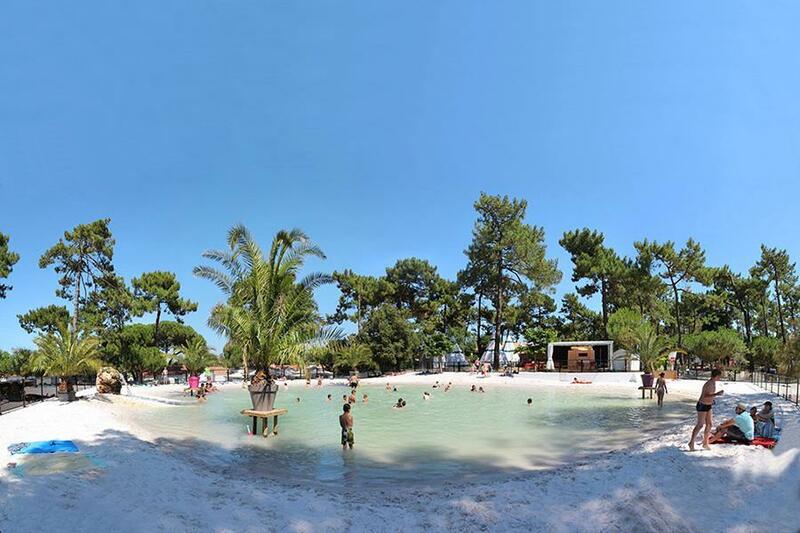 Camping-Club Les Pins, located in Le Grand-Village-Plage (Charente-Maritime), is a campsite with 70 touring pitches. With your CampingCard ACSI you can camp on one of the pitches during the following periods: 15-03-2019 - 06-07-2019 and 24-08-2019 - 15-11-2019. At this campsite you can not only use your CampingCard ACSI for inexpensive camping, you can also use your ACSI Club ID (as an alternative ID). A campsite located in pine woods. Friendly reception, every comfort provided. Swimming lake with sandy beach. Brilliant site v v we\'ll run. Village on the doorstep with restaurant with simple meals. Meals on site v good. Position is a 2K walk from the main town. V friendly, owners speak 3/4 languages so no problem there. Would you like to book Camping-Club Les Pins or request more information? You can do both using the information below or by visiting the campsite's website. From viaduct straight on at 1st roundabout, 2nd roundabout direction Grand-Village, 3rd roundabout direction Centreville-Plage, 4th roundabout straight on. Campsite then signposted. CampingCard ACSI will send your information request to "Camping-Club Les Pins".